A short look at how a simple smile can lead to danger and terror. 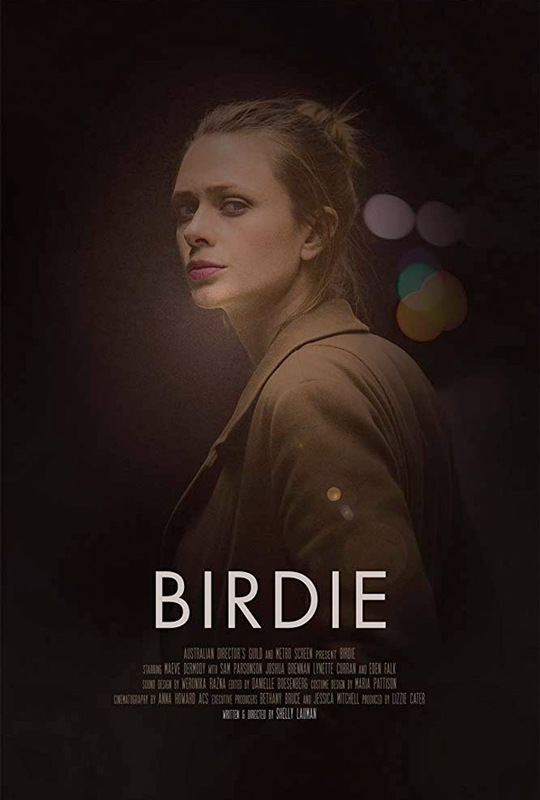 Birdie is a short film made by filmmaker Shelly Lauman, the next film debuted as part of Fox Searchlight's new online initiative called "Searchlight Shorts". A woman walks alone to the train station. As she descends the stairs to the underground platform she smiles at a young man, and he smiles back. With the smallest of gestures, the woman becomes caught in a subtle and sinister game. Maeve Dermody stars, with Sam Parsonson, Joshua Brennan, Lynette Curran, and Eden Falk. This simple but powerful short film utilizes the Academy aspect ratio of 1.37:1, and plays without any real dialogue. It's an example of how bad it is out there for women, how aggressive men can be, and how the tiniest of kind gestures can be misconstrued as an invitation. Watch in full below. Birdie is presented by Fox Searchlight as a "Searchlight Short". Original description from YouTube: "Birdie is a drama following a woman walking alone in a train station, who finds herself part of a sinister game after returning the smallest of gestures to a young man." Birdie is both written and directed by filmmaker Shelly Lauman - see more of her work (inclduing more of her short films) on Vimeo or visit her official website. Produced by Elizabeth Cater; featuring cinematography by Anna Howard. This premiered at the Melbourne Film Festival, as well as at AFI Fest last year. It is being presented as part of Fox Searchlight's new initiative to feature powerful short films they deem worthy of being seen by a big audience, debuting a new one online every month. For more from Searchlight, follow their YouTube. To watch more shorts, click here. Thoughts?